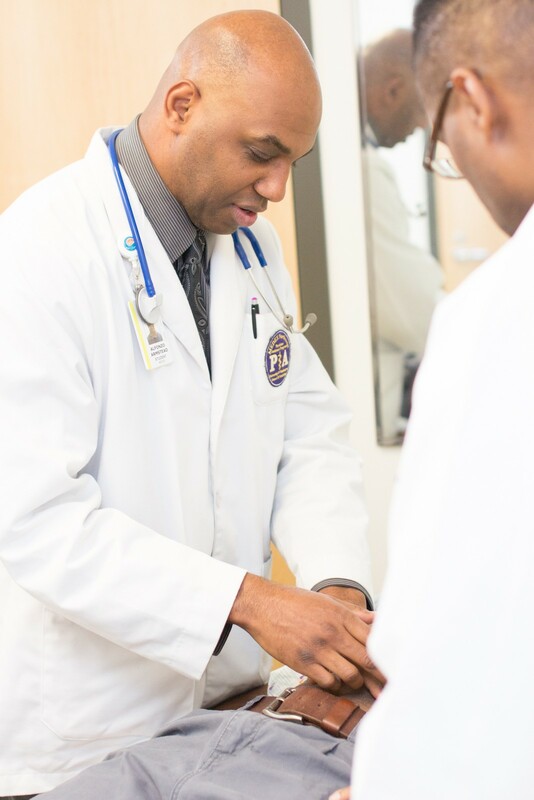 Alfonzo Armstead (Class 45) concluded his training at MEDEX with a four-month primary care rotation at UW Northgate Family Medicine Clinic in Seattle. 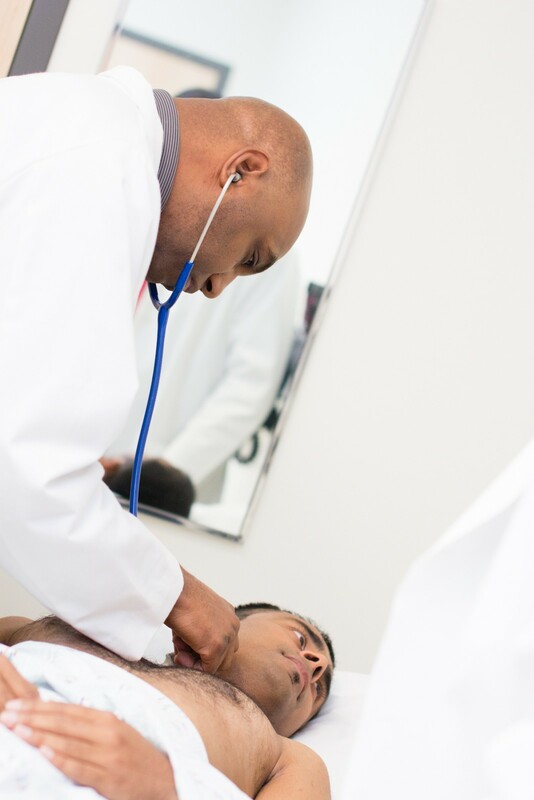 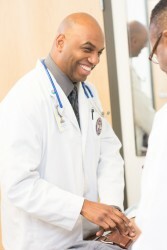 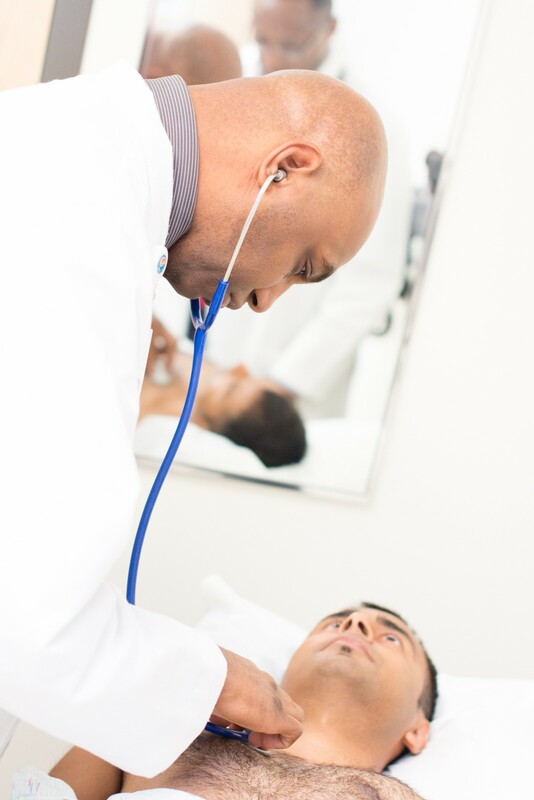 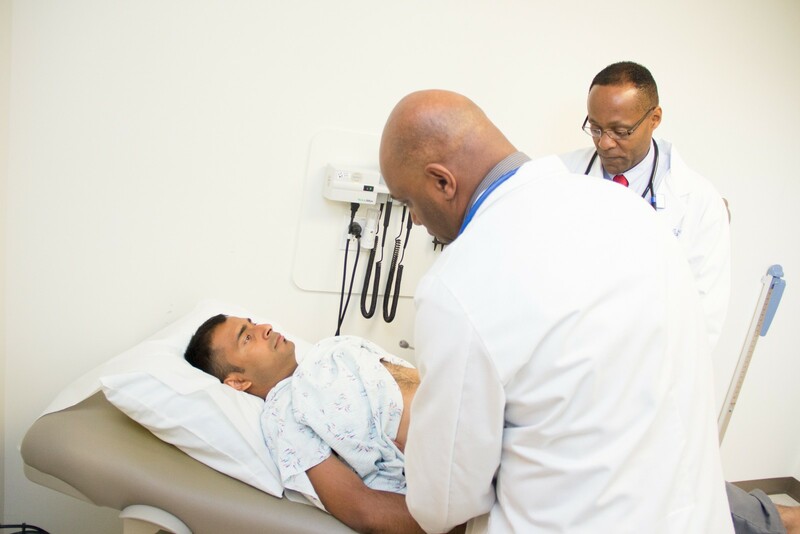 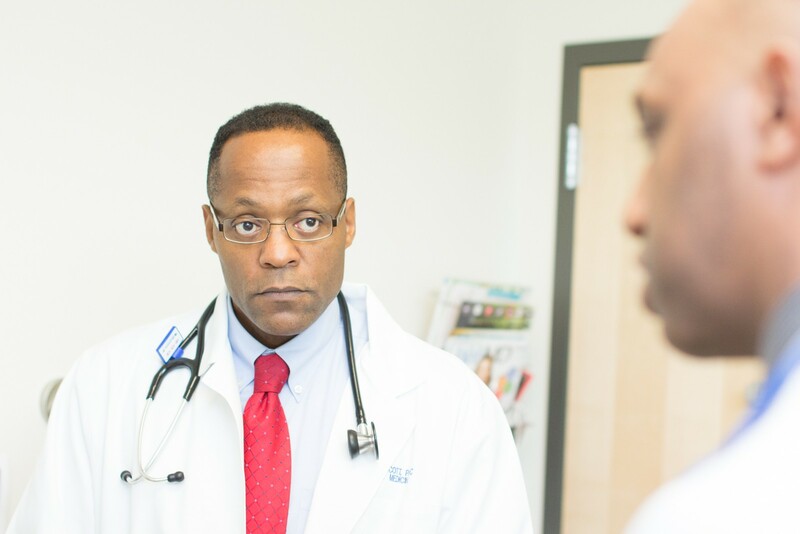 Educated at Morehouse College in Atlanta, the only all-male historically black institution of higher learning in the United States, Alfonzo began his career in healthcare in emergency medical services (EMS) and worked as a paramedic in both Connecticut and Hawaii. 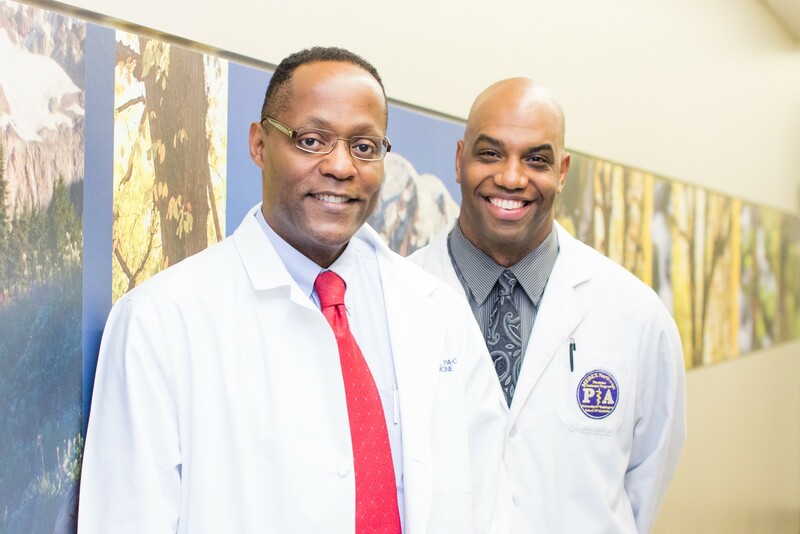 These experiences prompted him to investigate the PA profession. 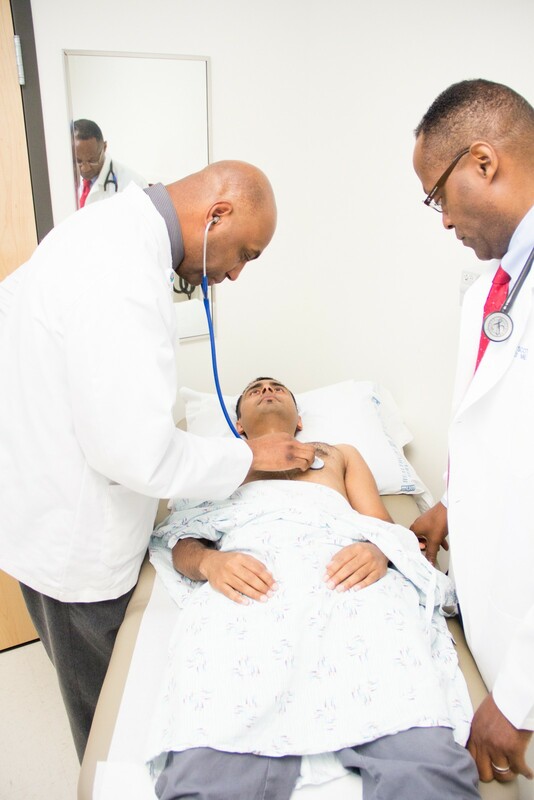 Two years working as a paramedic at a hospital-based EMS service in New Hampshire allowed Alfonzo to extend his experience as a prehospital provider to the inpatient setting. 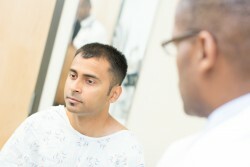 This provided some level of follow-up and long term care with patients, further leading him to the PA profession. After graduation and certification Alfonzo wants to work in pediatric endocrinology. 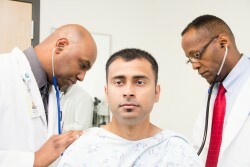 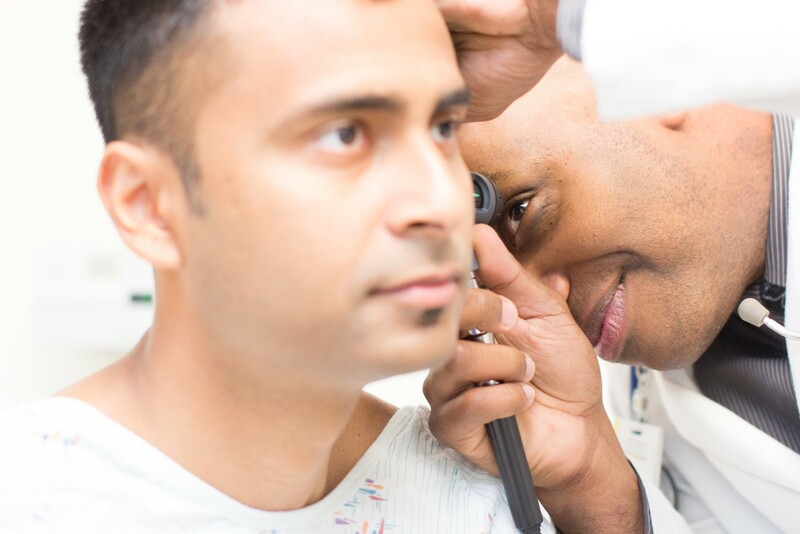 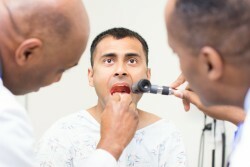 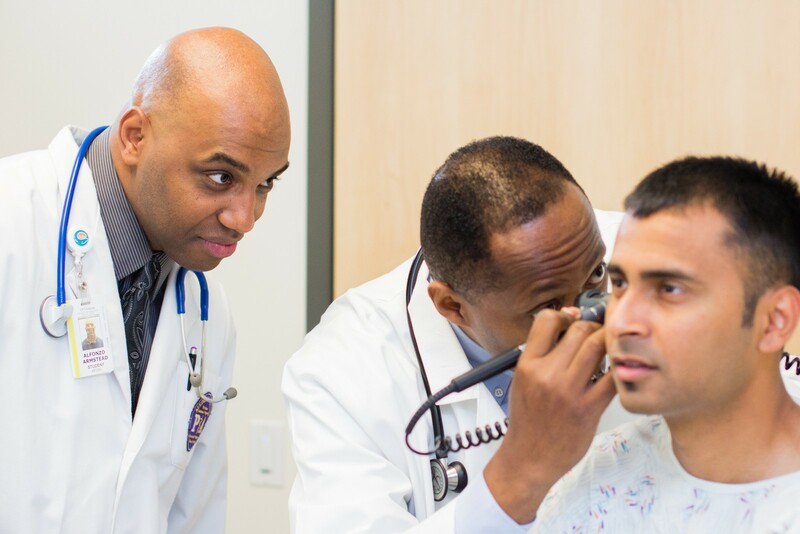 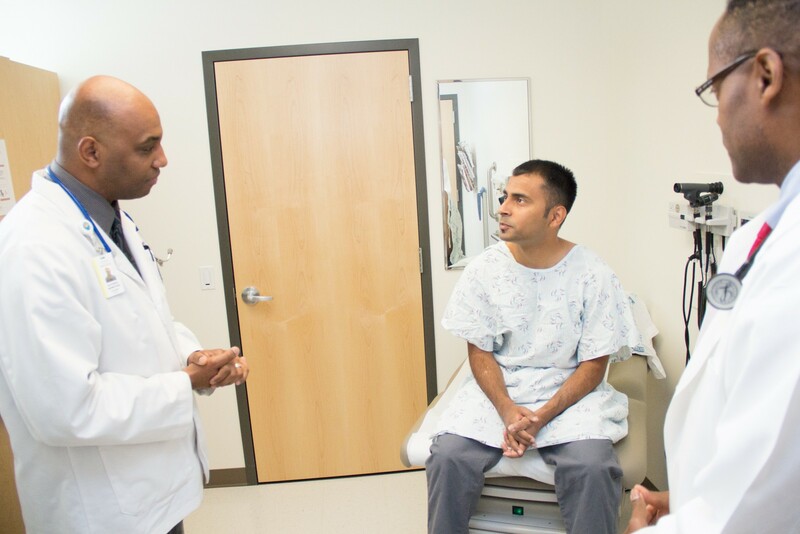 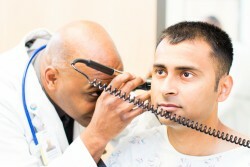 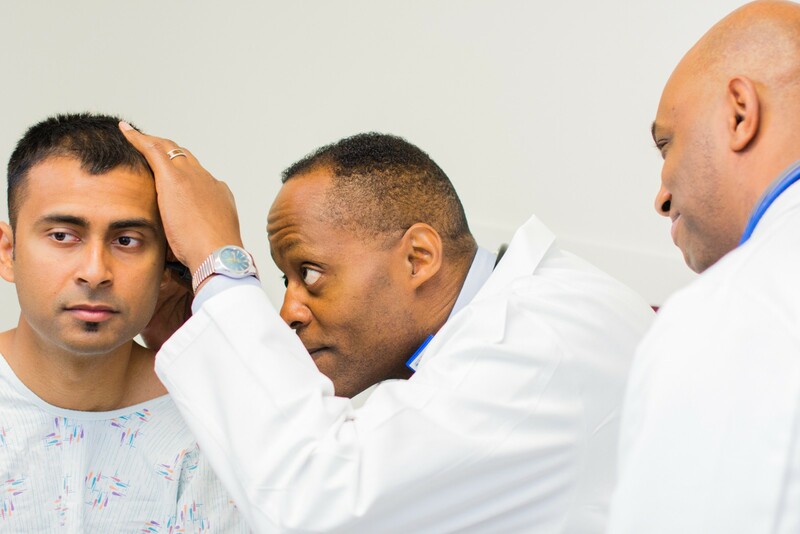 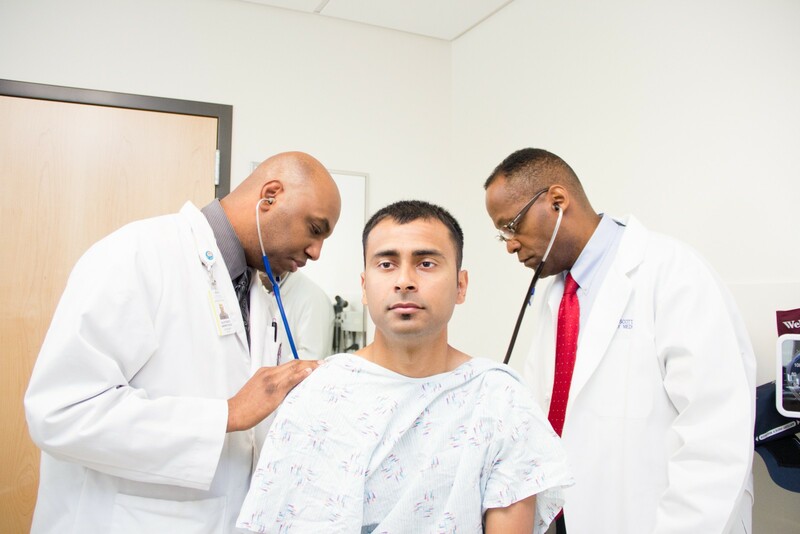 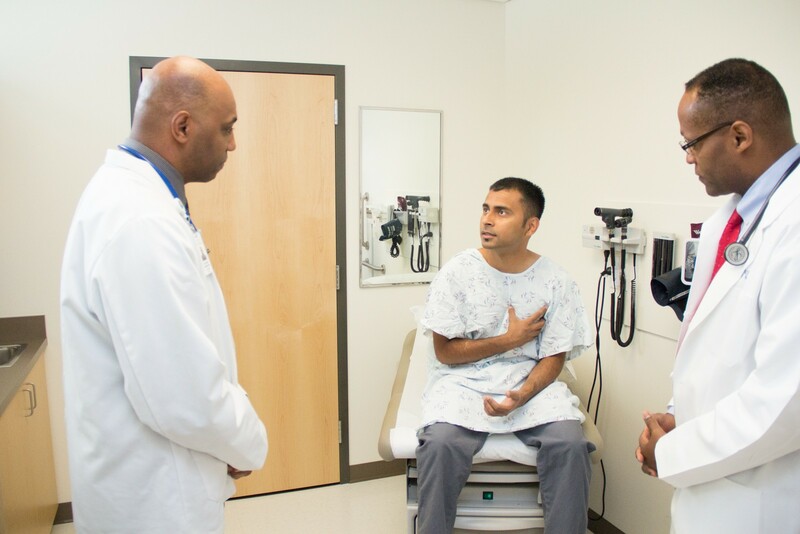 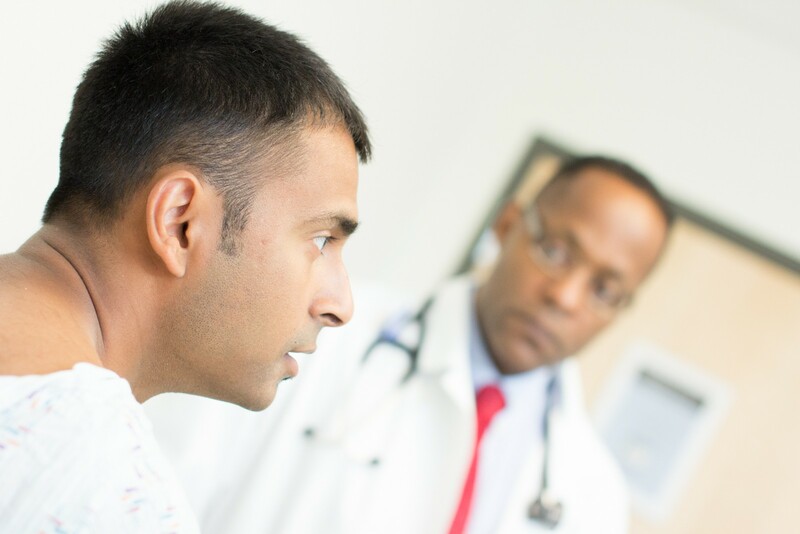 At UW Medicine, Alfonzo worked with several attending and resident physicians. 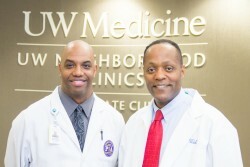 Here, he is pictured with Terry Scott, MPA, PA-C. Terry is a graduate of MEDEX Seattle Class 25, sees patients at UW Northgate Clinic a half day each week, and currently serves as the Program Director for MEDEX Northwest.